Dares might be physical and/or emotional. It’s a recreational activities that connect with number of educational, developmental, and relaxation goals. 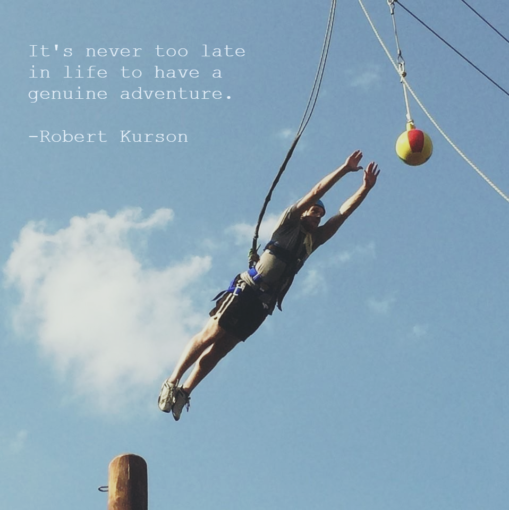 High ropes course and climbing programs mostly concentrate on personal achievements and ask participants to confront their personal fears and anxieties. I was frightened of walking down the street. I was worried about that I had with my fear is that I never really knew or understood it. Until I went to Sacred Groves ropes challenge courses two years ago. I went with a mass of people, and I had no plan of doing the outrageous exercises. The low fence exercises were very satisfactory to my anxiety brain. A few other people who said they weren’t going to do it started changing their minds and going up 40 feet into the air. I thought they were crazy and I wanted to be a little crazy too after seeing them come down. Everyone came down with a face of joy and relief I hadn’t seen from them before. I had to go. I strapped in, and the adrenaline wore off, and the anxiety hit me hard. I knew I had two options. Focus on the anxiety, or climb. I went for the ladder and climbed the ladder. I didn’t look down I just saw the next hold and pushed myself up. I still heard the voices in my head yelling at me to “get off,” but they sounded far off. I then made it to the top and grabbed the rope and made my way across one of the courses swinging like Tarzan. I didn’t think; I was in the moment. It was then that the voices stopped and I experienced stillness. Pure peace and joy. I could hear my team cheering me on from below. I looked down to appreciate the climb I had made. I learned then that it wasn’t about stopping the voices, but not listening to them. Pretty quickly the anxiety to get down came back, and I made my slow descent down. I felt so powerful afterward like nothing could stop me. I took my lessons from that climb and applied it to everything I do. I know if I think too hard about it, my fear will find a way for me to listen. Sacred Grove Retreat Center in North Carolina situated on 11 wooded acres, offers high ropes course Charlotte NC that provides unique experiences to many corporate groups, sales teams, and organizations. If you have any queries about our High Ropes Challenge Course, please call Sacred Grove Retreat Center at 704 299 5124, or fill out the contact form on our website. You can also follow us on Facebook, Twitter, and Instagram for up-to-date information on events, and other outdoor activities.